X-rays from a rare type of supernova in the Whirpool Galaxy were recently observed, thanks to the fine resolution of NASA's Chandra X-ray Observatory. 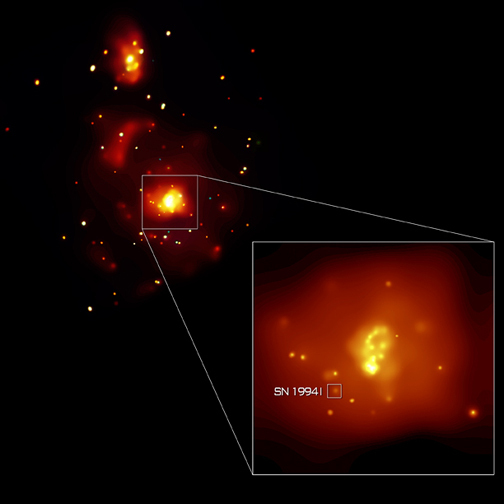 The team of researchers also detected a large number of point-like X-ray sources due to black holes and neutron stars in binary star systems. 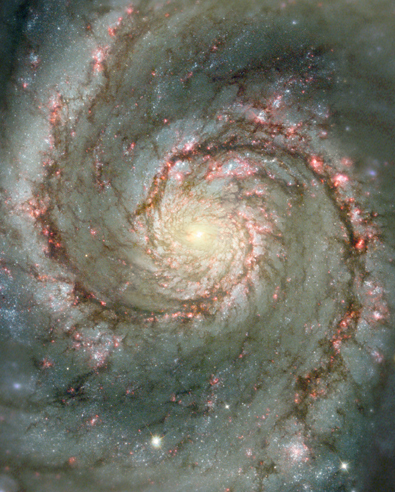 Chandra's image highlights the energetic central regions of the two interacting galaxies, NGC 5194 (center) and its smaller companion (upper left) NGC 5195, that are collectively called the Whirlpool Galaxy. Coordinates (J2000) RA 13h 29m 52.3s | Dec +47° 11' 54"